“Morning Joe” dedicated some of Tuesday’s show to continuing fallout from the firing of Hollywood titan Harvey Weinstein after explosive allegations of sexual harassment last week. “I know it’s a sacred cow at NBC, but come on, I’d be a hypocrite if I didn’t say this,” said Scarborough. “You have Lorne Michaels saying this is a local story. This is a New York story? So he killed all references to Harvey Weinstein in ‘SNL’?” he asked with skepticism. A rep for “SNL” did not immediately respond to TheWrap’s request for comment. 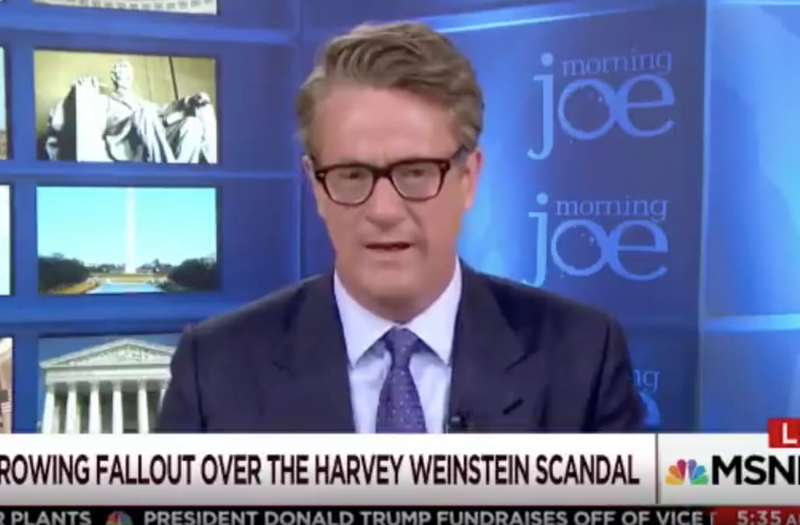 After all but ignoring the story on Friday, the morning after the New York Times broke the story about Weinstein’s many settlements for sexual misconduct, the set of “Morning Joe” has dedicated significant attention to the scandal. On Monday, Scarborough blasted Weinstein and those who remained silent, and co-host Mika Brzezinski warned she would abandon a three-book deal with Weinstein Books if Harvey did not leave the company. Weinstein was fired by his board of directors on Sunday night.